Once application started, you'll see the lines around you. Join any line and live your waiting time with fun and use. 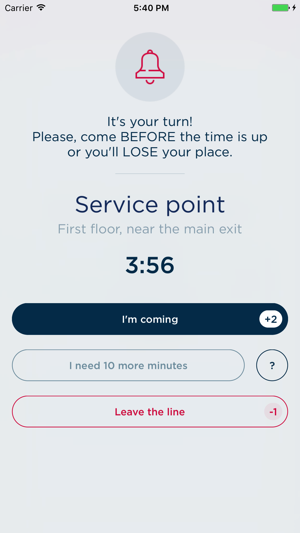 When it is your turn, you'll be called by the app. That's all, folks. I was extremely excited to use this app when I went to Paris. 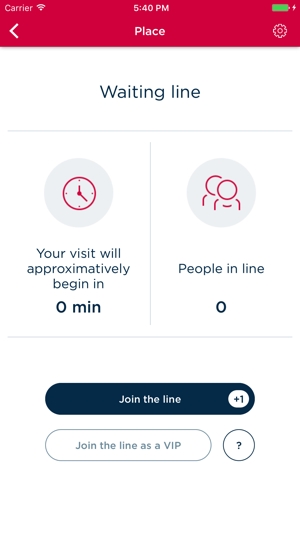 I planned on using it for Versailles and when I arrived at the location, the app showed me that there was an available line for Versailles and easily prompted me to join the line. HOWEVER, when the app told me it was my turn in line, I went to the front of the line at the gate it told me to meet at. The employees told me that they are unable to scan QR codes and told me I was out of luck and couldn’t use it. Being an American who doesn’t speak French, I went in search for more information from somebody from the information desk who spoke better English. Every employee I asked told me they don’t accept QR codes and that I couldn’t use it. I wasted 30 minutes trying to “skip the line” when I could’ve just waited in the line instead of wasting my time and energy. I also used up some of my points for something that didn’t work and was unable to get my points for claiming my spot in line. I ended up having to wait over 2 hours in line because I didn’t buy the timed entry due to thinking I would get in easily with this app. This app is a scam and doesn’t work at all of the locations it promises. Very unreliable!! The Versailles site was a test. Somehow we have forgot to disable it. Sorry for the bad experience you had. 1. The app said the next entry was 1.5 hours. I believe you HAVE to use this app to go to the top. 2. I selected that time and the app told me I’d be notified. 3. We showed up 20 minutes before our time. There was a big line in the south tower. This was just to go inside the church - which is free. 4. There was no indication where to go, but the security guard at the exit told me to go around to the side (north side) and there was a little line of about 10 people there. 5. We got in line and a lady said we had to wait until next round (since 20 mins early), but then a guy said we could go anyway. 6. We climbed up the stairs to a gift shop. We bought our tickets there. 7. Then you show your ticket to a lady near the entrance to the gift shop and you return to the same stairs and keep going up. It was easy peasy (I wish the climb had been as easy as the app). We came in April. We were really excited to when we found this app because we wanted to take an evening tour of Notre Dame in Paris. Unfortunately one can’t get in line unless in the city. The line opens early in the morning and it turns out it fills quickly. When we arrived in the afternoon, no more room on line.... We got up early the next day to get on line, but then the latest time was 5 pm. Where did the evening tours go? 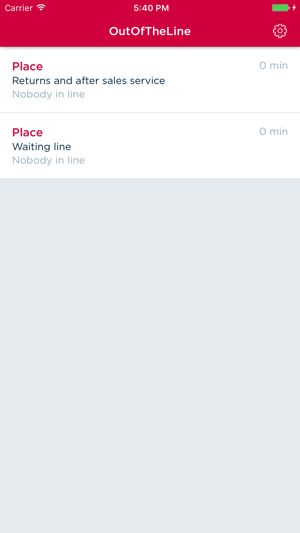 Anyway, nice idea to not have to wait in line, I guess. Better for the venue. Wish it was designed with the tourist in mind though. Doesn’t seem that way at all. You can get in line up to 100km around the monument. The service is finished by 17h40 in summer time. The late evening openings are only on Friday and Saturday. 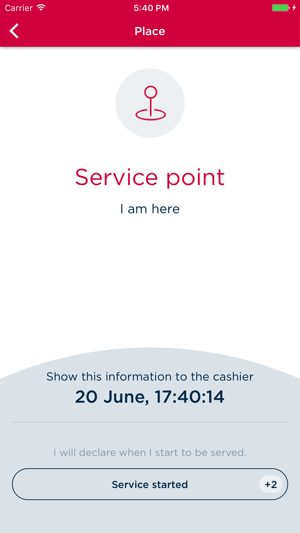 In high season, the line is full by 13h and some places are become available from time to time because of the early acceptance or other mobile user quitting the line. Thanks for your feedback. We continue to enhance the interface and take in consideration all remarks.